Laszlo Ratesic is proud to work for the Speculative Service. He is one of the few people who have the ability to tell when someone is lying and he spends his days pursuing those who choose to lie. In his society, truth is of the utmost importance, everyone is under surveillance, and those who don't tell the truth are arrested and punished. When people meet, they greet each other by reciting math equations or scientific facts. Laszlo and his new partner are called to investigate what seems to be an accidental death, but this one case will cause him to question everything he believes about the Speculative Service and the importance of truth. Laszlo is a sympathetic character and it's hard to watch as everything he believed about himself, his colleagues and friends, and the good of their work comes crumbling down. As he investigates the death of a construction worker, he discovers that a whole week of his records are missing. In the Golden State, everyone is required to keep meticulous records of their days because truth can be verified if there is proof of everyone's movements and interaction. The lack of record leads Laszlo to do some investigating of his own, where he finds that truth is only required for some and that power (of course) trumps truth. 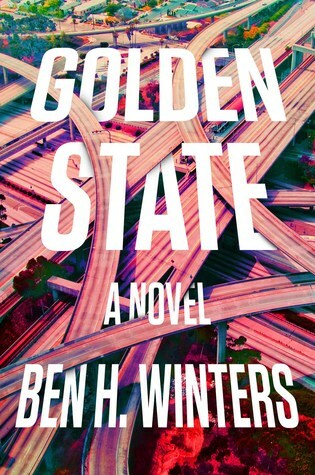 Ben H. Winters is a fascinating writer. Every time I read one of his books, I am fully immersed in a unique story and find myself grappling with some interesting and difficult questions. Golden State is no exception and I found myself thinking about the complexity of truth and the point at which it becomes harmful instead of good. This is a smart story and Winters is not afraid to play with form or the expectations of his readers. But there were also moments when he seems to be showing off just how clever he can be. In spite of this, I would heartily recommend Golden State to anyone who enjoys dystopia or any reader who appreciates good writing and inventive storytelling. This sounds so interesting! I really liked his Last Policeman trilogy, which does a similar thing of putting a detective in the middle of a world that's off-kilter from our own in some interesting ways. Your comments make me want to read this even more! I liked that trilogy too! Winters is such an interesting writer.